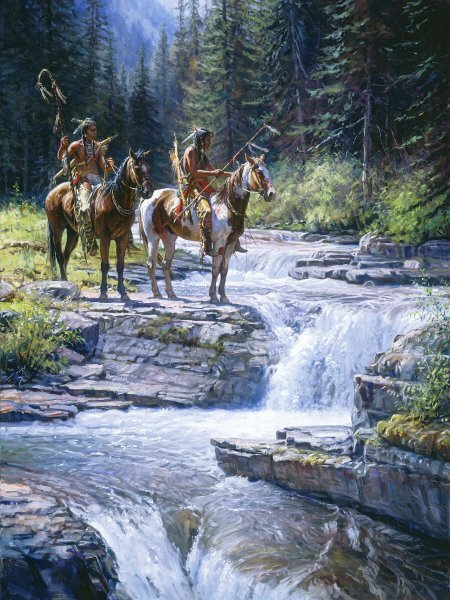 Martin Grelle's "When Waters Speak" has all the elements of his most prized pieces. Native American riders listen for a message from the waters of a mountain waterfall and the raging stream that issues from it. This piece has all the beautiful color and drama of his most popular pieces, and it is easy to understand that his popularity continues to grow.